Here’s a wonderful way to get even more out of your alcohol makers, try water coloring with them. 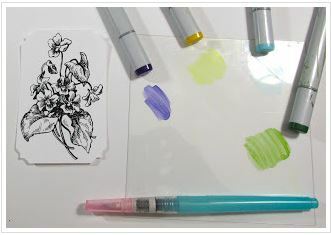 By rubbing the markers on a non porous surface, like glass or plastic you can use a water brush or wet paint brush and pick up the color for a pretty, soft look. 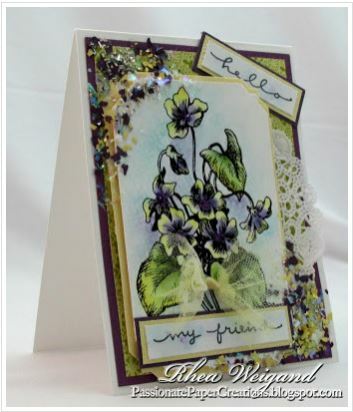 Visit the Stampendous blog for all the details on this technique.